DO YOU WANT TO EXPAND YOUR BUSINESS? WORK FROM HOME? EARN EXTRA MONEY? Sheds Online specialise in Australian made pre-fabricated steel buildings and structures. Founded in 2001, Sheds Online saw an opportunity to do things differently and developed an internet website where customers can enter their particular requirements and receive a custom designed shed quote. 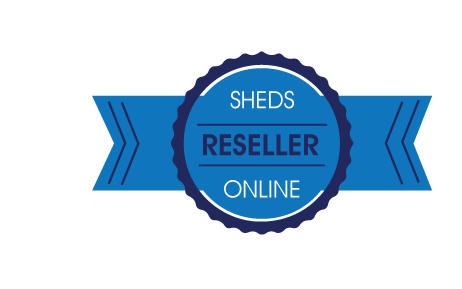 Through new ideas and concepts employed by Sheds Online, the business grew with the development of the Reseller program. We believe our customers appreciate being able to deal with agents in their own local area and we are currently seeking reputable Resellers in all areas of Australia. FILL IN THE FORM BELOW TO APPLY. Sheds Online is not a FRANCHISE…therefore no mandatory franchise fees and low overheads. We offer exclusive territory and all enquires through the website for your area are forwarded to you. Software available on a membership basis, with minimal start-up fee, to custom design Sheds Online steel buildings. Training, operations manual and professional back-up service provided. Fully certified engineered custom designed steel buildings, with no hidden extras. Bluescope’s warranty on steel products. Comprehensive step-by-step construction manual for your customers or organise your own contractors. Trade under your business name, set your own profit margins with our competitive pricing. No stock to carry as all building materials are delivered to site. All Sheds Online buildings are uniquely designed to conform to the latest Australian Building Code requirements. All products are based on structural designs and associated structural design drawings, prepared or authorised by professional and fully certified structural engineers. Sheds Online has developed a unique interactive website, which is continuously being updated to attract enquiries and to provide information for the potential buyer nationally. Brochures are made available at cost to all Resellers. To further your enquiries regarding the opportunity offered by Sheds Online, please complete the below form. Please insert only the number you wish to be contacted on. Are you a robot? What's 2+2=?